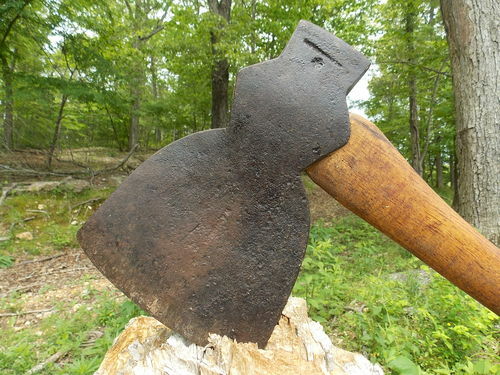 Dating of an Old Axe - Could it be 1830's or not? I’ve been trying to learn more about an old axe that was passed down in my family. I recently discovered several old tool catalogs from the 1860’s and 1870’s which I believe may identify it as a “New York” style axe. I don’t believe you’ll find the maker listed in a book of markings, as I and others have searched with no avail. The name is too hard to read though it appears to start with a “W.A….”. I’m reaching out to you in hopes that you perhaps might be able to give me any indication as to how old this axe might be. 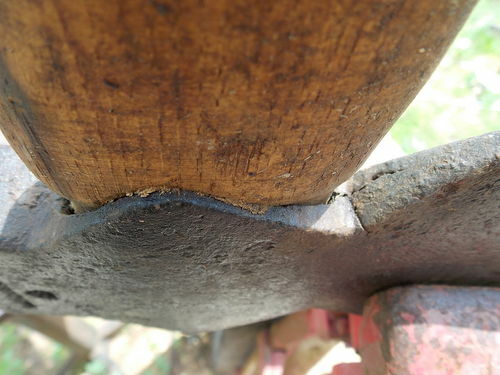 If you look at it, it appears to have been hand-forged, with a slight crack in the metal near the handle where the one piece of long metal was bent around a handle then beat and and fused into one piece. As a background on the heirloom, my grandpa’s grandpa was a timberman who moved to the Ozarks in 1875 during the timber boom here. His father was born in New York in 1819 and used the Erie Canal and then the Ohio & Erie Canal to conduct business as well as move west during the 1840’s through 1860’s. His father Henry Dougherty worked on the Erie Canal and was probably involved with the timbering of the 16,000 acres of White Oaks on Grand Island, New York in the 1830’s. 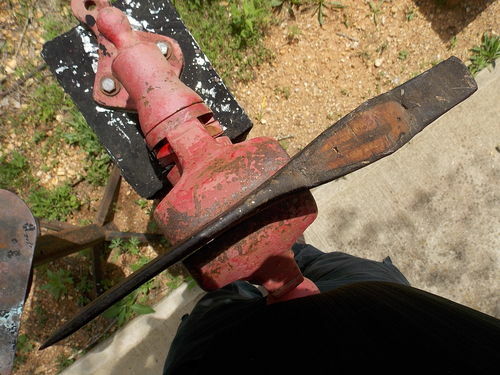 I’ve attached some photos of the axe for your reference (my dad put a new handle in it when I was a boy). 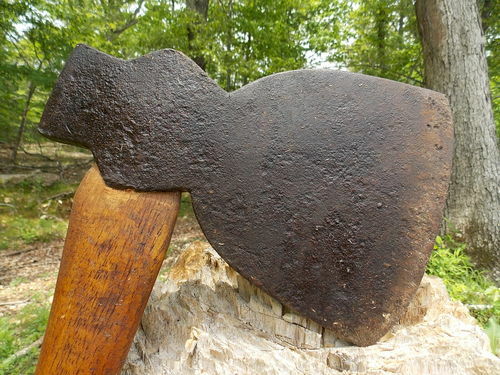 I’m really hoping to know if this axe could have been made in the 1830’s. Thank you, in advance, for any information you can provide, contacts you can give, or resources you can point me to. have knowledge of that sort of thing. No clue who made the axe but welcome to LJs. Given the information you have and the look of it, it’s certainly reasonable that axe is from the 1830s. 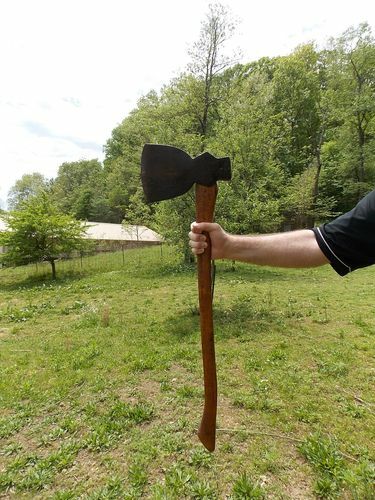 The handle your dad added doesn’t seem like the one that would come with an axe that style, but I don’t know what would have. Of course if your dad had work to get done he had to put on a handle that fit. Try searching Kent style, Douglas Axe Company, W. Hunt.